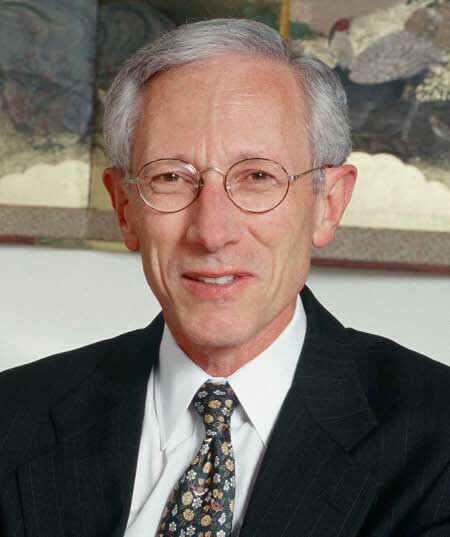 The Governor of the Bank of Israel, Stanley Fischer is one of the most eminently qualified, in economics, of the world's Central Bank governors, having authored articles and textbooks either alone or in conjunction with some of the biggest names in monetary economics, in particular. His management of Israel's independent exchange rate policy presented him with the rare opportunity, for an academic to put his ideas into practice. His background as an investment banker (with Citigroup from 2001-2005) added a further dimension to his experience. He is generally reckoned, at home in Israel notably, to have successfully managed the country's course through the financial crisis. He also, de facto, is responsble for the management and maintenance of stable monetary relations with Palestine, and its monetary authority, a reminder of the remaining problems faced in the Israeli economy, short of a successful long term peace solution. He has himself put a value on a peace dividend for Israel's economy, in the form of a permanently higher growth rate. Israel's role as a financial centre would see even greater upsides with gains in confidence in association with increased political stability in the region. Clearly stabilisation in Iraq has helped, as has progress amongst Isreal's closer neighbours, Syria, for example where financial market reforms are being implemented. Iran's president and his posturings clearly remain a problem. Originally as US citizen, but now also an Israeli citizen, (a requirement of the Governor's post) from 1988 to 1990 he was Vice President, Development Economics and Chief Economist at the World Bank. He held the position of First Deputy Managing Director of the International Monetary Fund, from 1994 until the end of August 2001. In 2001 he joined the Washington-based financial advisory body, the Group of Thirty. After leaving the IMF, he served as Vice Chairman of Citigroup, President of Citigroup International, and Head of the Public Sector Client Group. He became Governor of the Bank of Israel on May 1, 2005, replacing David Klein, and was sworn in for a second term in May 2010. This year the Bank of Israel was ranked first among central banks for its efficient functioning, according to the IMD World Competitiveness Yearbook.